We are committed to working with referring physicians to ensure patient’s exam results are accurate and delivered promptly. Our centers in Sacramento and Elk Grove are helping improve health outcomes in our communities. To learn more about our skilled radiologists and the imaging services we offer, do not hesitate to contact one of our team members. Set up an appointment for your patient. We will contact the patient within one business day. Need a patient report right away? Call our office Mon.–Fri., 8am – 5pm. Access patient reports and images online through our referring provider portal. Powerful Search: Search for your patients, or patients belonging to other providers in your practice. 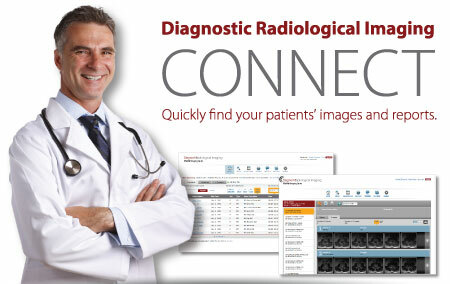 See your patient’s entire exam history with access to the report and images you want. Image Viewers: View full DICOM images directly within your browser. Use convenient window-leveling, measuring and scrolling controls. Reports: View reports directly within the portal, as soon as they are completed and signed. Diagnostic Radiological Imaging centers offer physician-centered care. We understand when it comes to radiology referrals, accuracy is essential. We also know that fast turnaround, dedicated support, responsive service and processes are equally important. When you refer to us, you can be sure your patients will receive the highest level of quality care.